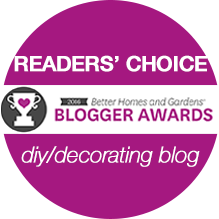 Whether you’re an expert with hot glue (me!) or using an actual power tool, I’m sharing a few DIY ideas for updating your nightstand—or possibly another piece of furniture in your home. 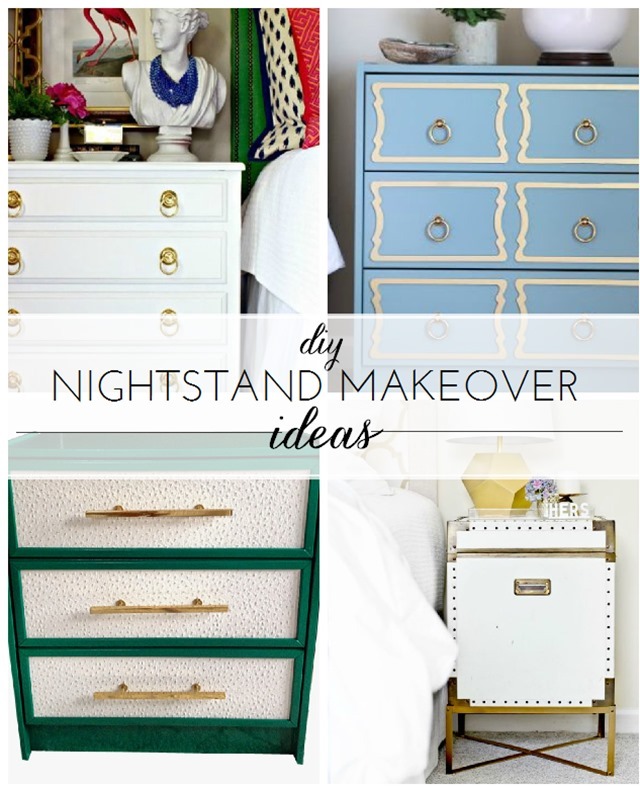 I also included the easiest nightstand makeover ever. (That would be mine.) 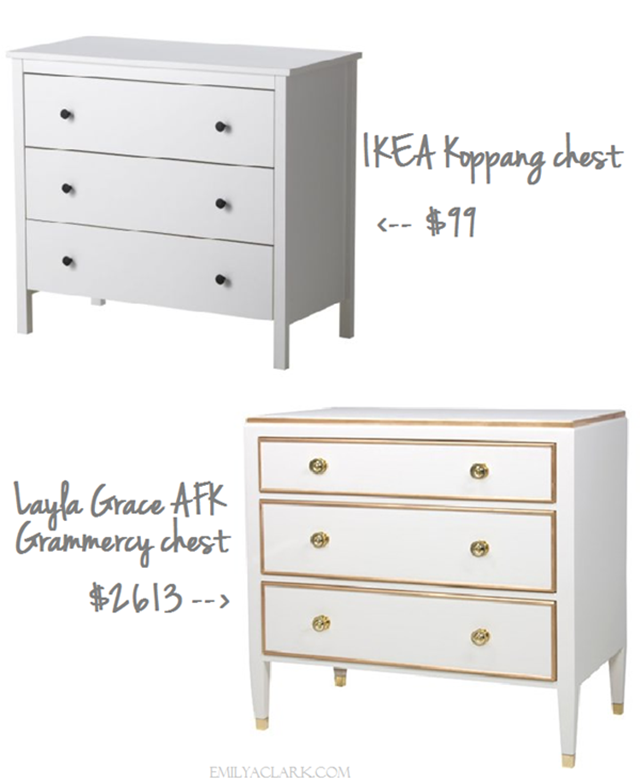 Remember when I used gold leaf Rub ‘n Buff to make these IKEA chests look like a way more expensive version? Sarah’s nightstand is one of my all time faves. Thanks for sharing mine, Emily! These are all such great ideas. I was at Joann’s recently & saw that they are selling a product just like Danika’s Overlays. I felt bad that someone had copied her idea. I love Sarah’s nightstand. I have a piece I could elevate like she did. Thanks for bringing it to my attention. The video newsletter is a great idea! 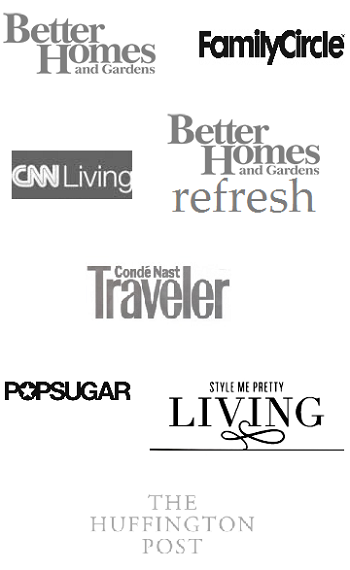 So nice to hear the voice behind all of the fabulous design ideas. Just watched your video newsletter. Oh my gosh!! You are so adorable. You remind me of our daughter-in-law from Birmingham, Alabama. You two sound exactly the same. Thanks for sharing the Etsy shop. I’m always looking for new sources for pillows.